I'll be bringing Edible Hats to an exciting new experimental project, Farmopolis. A Thames jetty has become a leafy oasis providing sanctuary for ex-Chelsea Flower Show plants and weary Londoners. We'll be running workshops for kids to create their own salad hat and also pirate gardening sessions where people can 'mint' their own seed coin. 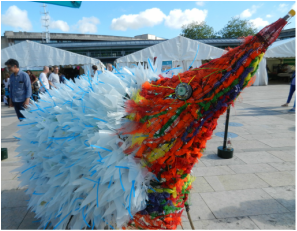 I'll be creating a hedgehog with members of the public for the Bristol Zoo using hazel, netting and recycled plastic to support their Knot Your Net campaign. Come visit! 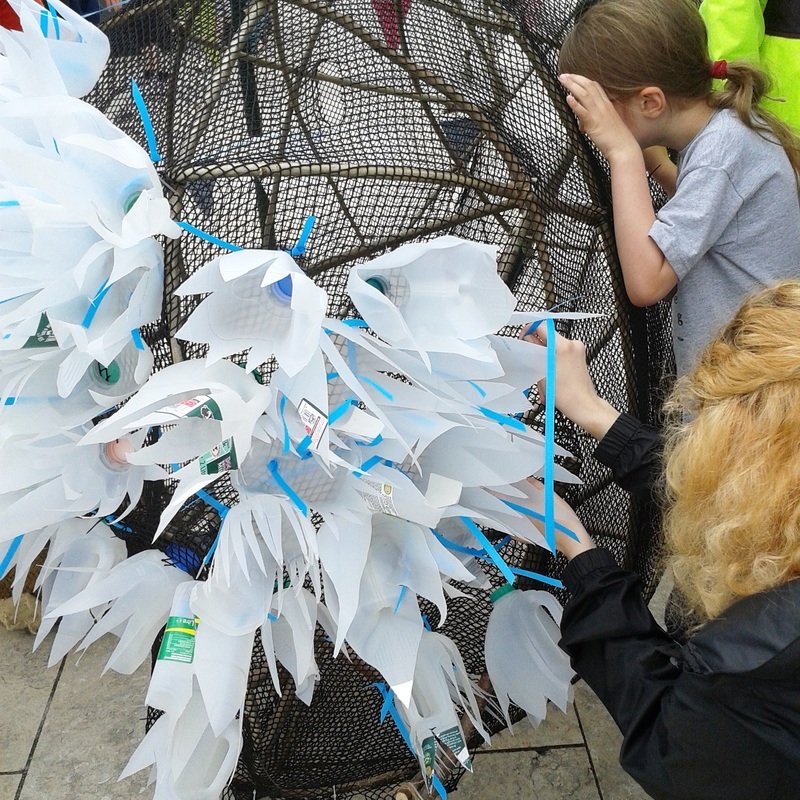 ​Bristol Festival of Nature: Saturday 10-6, Sunday 10-5, Bristol Harbourside. UPDATE: £570 raised & 84 birds rehomed! Many thanks to all those who contributed. Starlings uncollected from the Murmuration will fly again- heading for the sanctuary of Bristol's Botanical Garden's glasshouses... Members of the public will be able to rehome these birds, with all proceeds going to charities helping the current refugee crisis on equally perilous migratory routes. 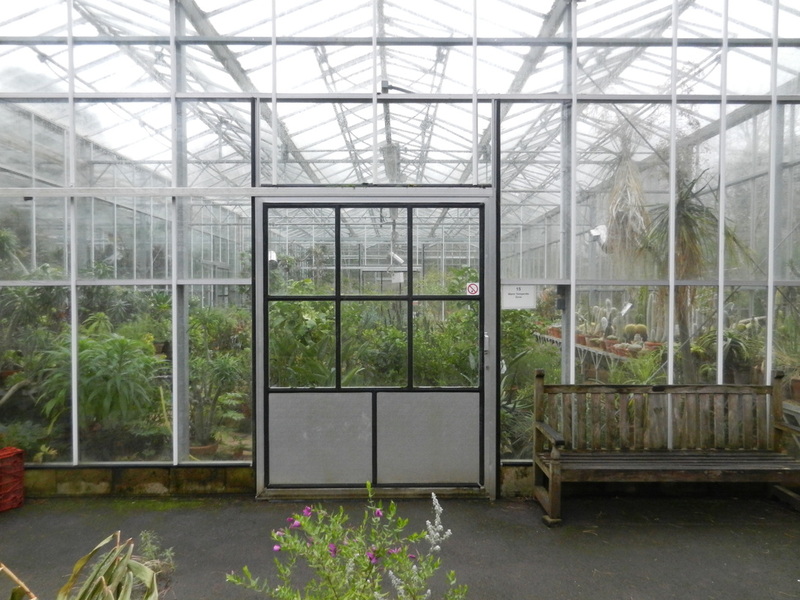 Hothouses at Bristol Botanical Gardens to become an Aviary! 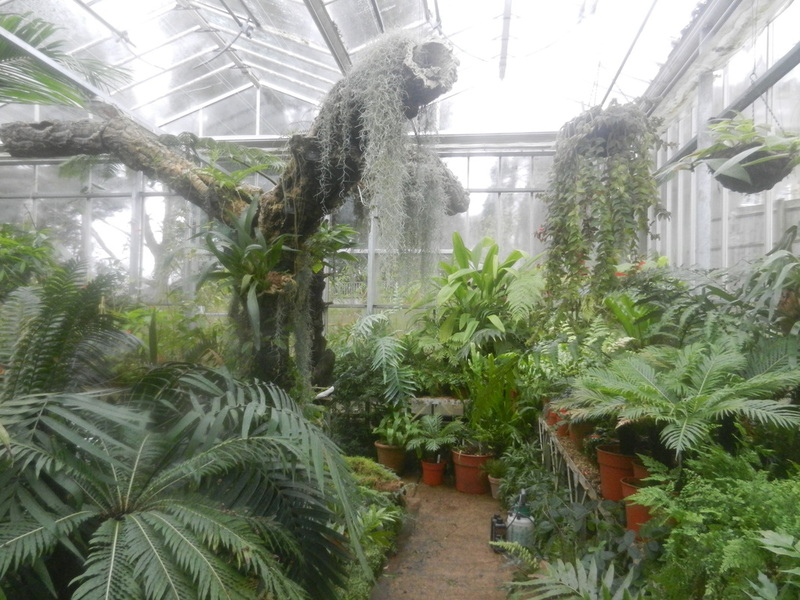 A kaleidoscope of birds will be taking up residence in the exotic climes of the Botanical Gardens hothouses over 25-28th March. 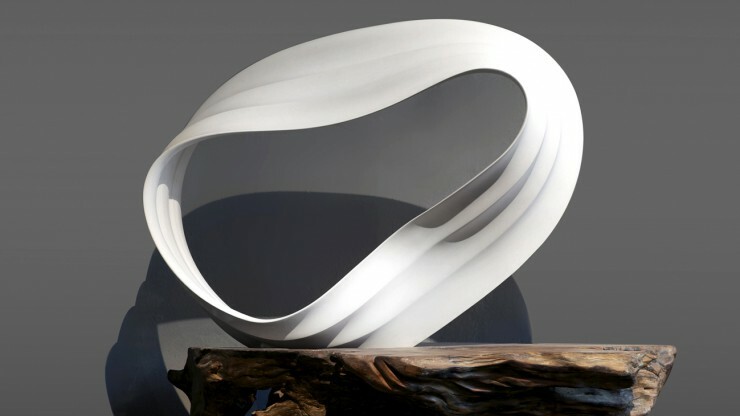 From bike parts, recycled plastic to reclaimed wood, over 20 artists & designers have let their imaginations free! it seemed like the right time. With huge thanks to Biggerhouse Film. 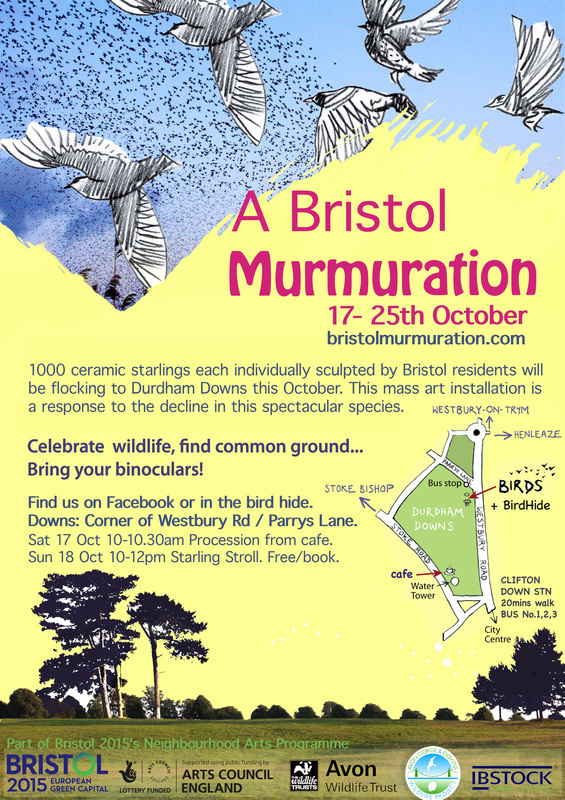 Extremely pleased to hear that my proposal to create a mass Murmuration of ceramic birds for the Bristol Green Capital has been chosen. What a fantastic opportunity to take part, working with the people of Henleaze, Stoke Bishop & Westbury-on-Trym to create something which will have impact and scale. The proposal was a response to a recent decline in the starling population and their once familiar Bristol spectacle. 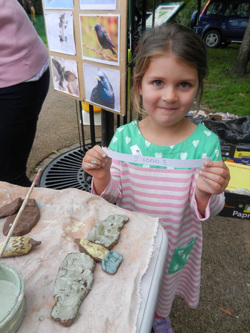 The next 3 months are going to be busy organising public workshops, enabling as many people as possible to create their own ceramic bird and contribute to the final celebratory procession and installation. Watch this space and my blog for more information! 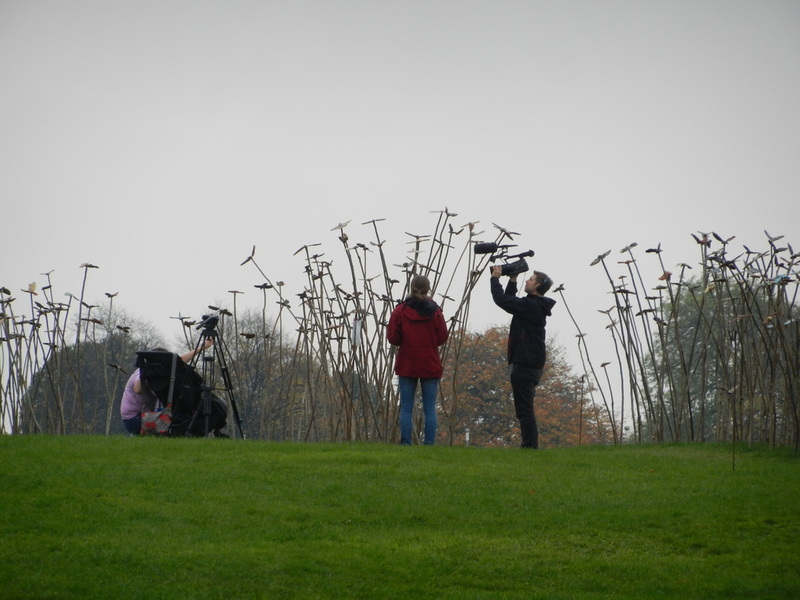 Read more about Bristol Green Capital's other Neighbourhood Arts Projects here. 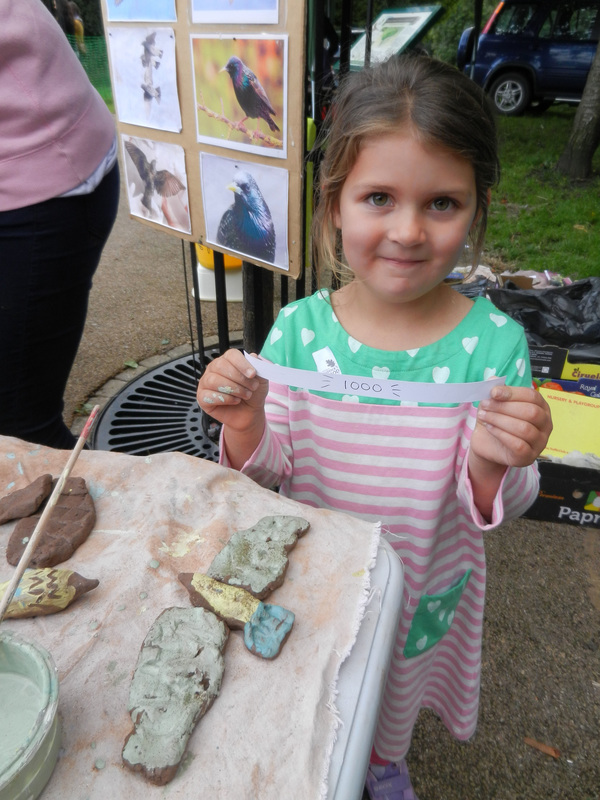 I led a clay sculpture session for parents and children as one of their many exciting options for their annual play day. Lots of takers and some fantastic sea creatures produced- total absorption! 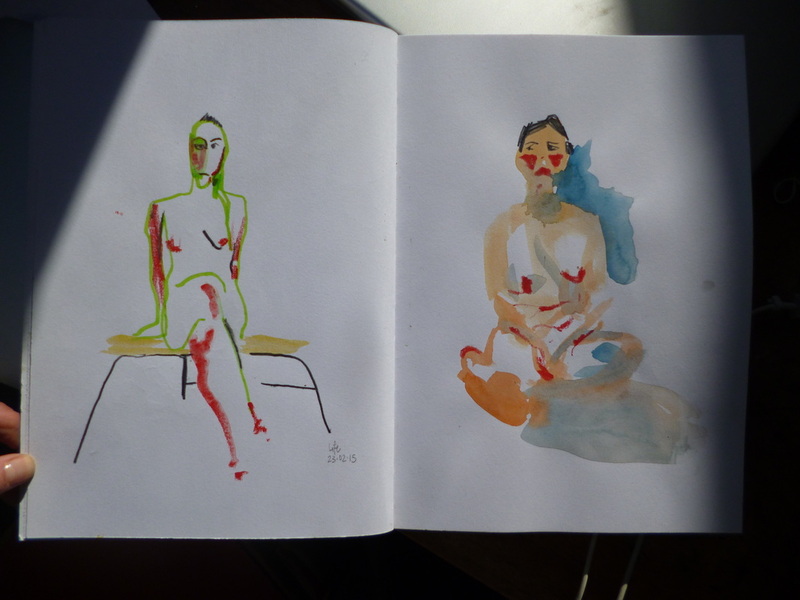 I've been thoroughly enjoying visiting this weekly drawing class and really recommend it- 5 models for 2 hours.